Scott Witt believes there are few places consumers can turn to for unbiased advice in today's commission-dominated life insurance industry. With a passion for problem solving and for using his expertise to benefit others, Scott left a promising and secure career as an insurance company actuary to become one of the nation's only fee-only insurance advisors. 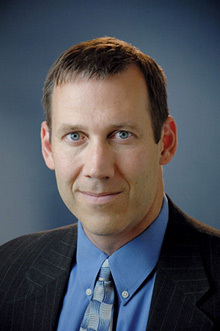 In 2007, he founded Witt Actuarial Services, now one of the leading consumer advocates within the insurance industry. Scott is truly fee-only. He does not receive nor has he ever received any form of direct or indirect compensation other than the hourly or project fees paid directly to him by his clients. His fiduciary responsibility and actuarial expertise provide a unique advantage for his clients, even within the relatively small universe of fee-only insurance advisors. Scott helps his clients navigate through the murky waters of the insurance world, always providing them peace of mind and often saving them huge multiples of his fee. He also provides litigation support and actuarial services, including expert witness reports and testimony. Scott is a sought-after speaker presenting all over the country to trusted advisors on the topic of insurance. Before founding Witt Actuarial Services, Scott worked for Katt & Company, one of the nation’s first fee-only insurance advisors. He started his career at Northwestern Mutual in Milwaukee, Wisconsin, where he worked in various actuarial roles for more than ten years. Areas of expertise and responsibility included life insurance pricing, risk management, valuation, mortality studies, and marketing. Scott is a Fellow of the Society of Actuaries, a Member of the American Academy of Actuaries, and a Financial Services Affiliate member of the National Association of Personal Financial Advisors, the leading membership organization for fee-only financial advisors. Born and raised in Montana, Scott attended Montana Tech and graduated with a dual major in Mathematics and Computer Science in 1993. He attended graduate school at Oregon State University, obtaining a Master's degree in Statistics in 1994. Scott is an avid sports fan and continues to be involved in coaching basketball and soccer. He played basketball on scholarship and still holds the all-time career scoring record at his alma mater. Scott and his wife Christi reside with their two children in New Berlin, Wisconsin.